Family vacation time means that you have your camera out and are always taking photos along the journey. Of course, most of the time one of the adults is missing because they are the one capturing the memories. Thanks to Disney, those days are now over. 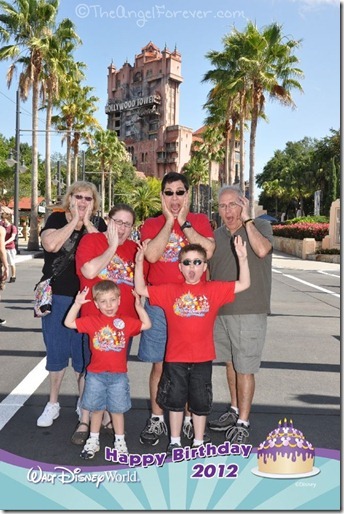 The Disney PhotoPass allows the entire family to gather together for amazing memories as a group. 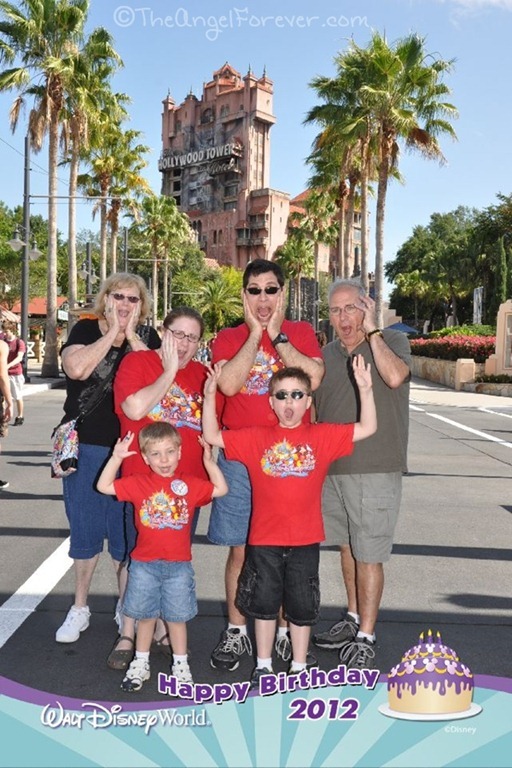 Like this one with TechyDad, the boys, and my parents at Hollywood Studios. I added the birthday border since we were celebrating JSL’s turning five while there. 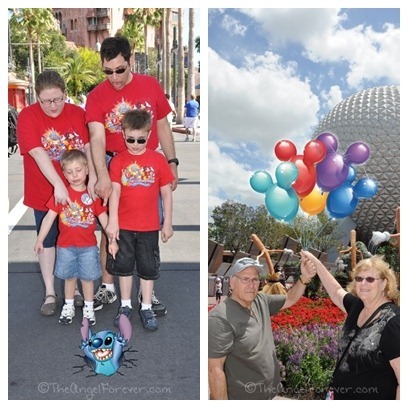 When we went on our first family trip to Walt Disney World in May 2009, we heard about PhotoPass. We bought the CD before we went and made sure to read up on what they were about. Basically, there are photographers throughout the Disney parks and resorts. Not only will they take pictures of the entire family in front of Cinderella’s Castle, but you can go to designated areas to see Disney Princesses, Mickey, Minnie, Winnie the Pooh, and countless others. The photographer scans the card and they are saved together. When you get home, you are able to access all of your photos, add fun Disney borders, purchase additional items, and more on the PhotoPass website. You are able to buy individual pictures, or get the rights to the photos via CD or now zipped files sent to you. 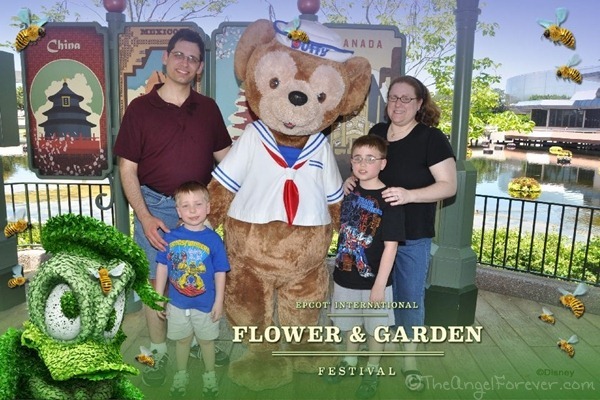 Here is a photo we took with Duffy the Disney Bear soon after we arrived. 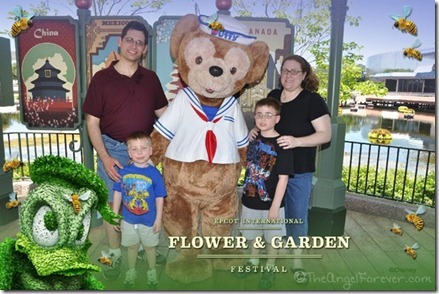 When we got home, I added the fun Flower & Garden Festival border since we were visiting during this time. You truly could spend hours adding numerous borders to photos on your CD in case you want them one day. 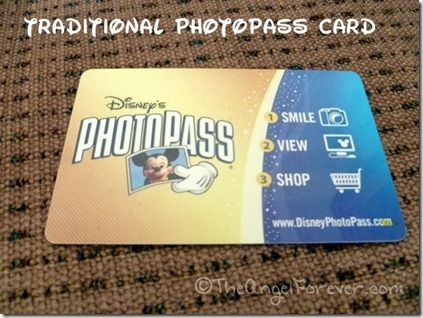 Tip: The PhotoPass Card is small and similar to a credit card, so it can get lost easily. Take a photo of the card with your cell phone. Even if lost, you will be able to use the number on the back to access any of your magical memories. 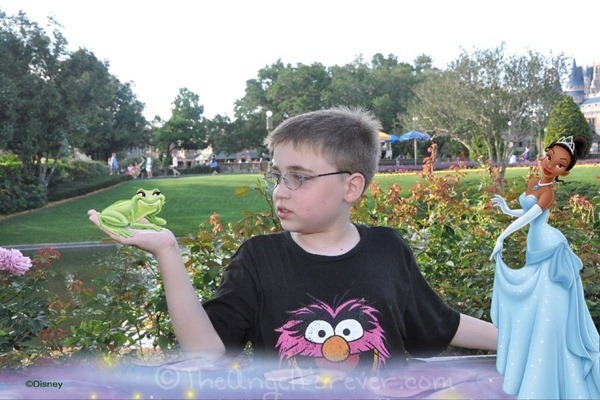 When we went to Disney in April, we were debating whether or not to get a PhotoPass CD. We figured we would risk it and wait to see how we liked the photos before making a purchase. TechyDad and I were not sure if my parents would utilize it enough with the boys when they were with them. If you purchase the CD before hand you can often get deals. Lucky for us, the team from the Disney Social Media Moms Celebration gave us an amazing present at the first event when we arrived. It was the new PhotoPass+ CD for our families. 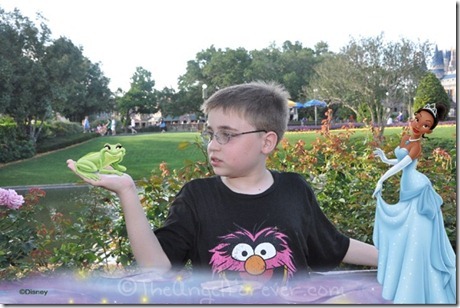 This new option for PhotoPass has some really great additional features for a larger price tag. It is $169.95 when preordered as of 7/2012 (normally $199.95). 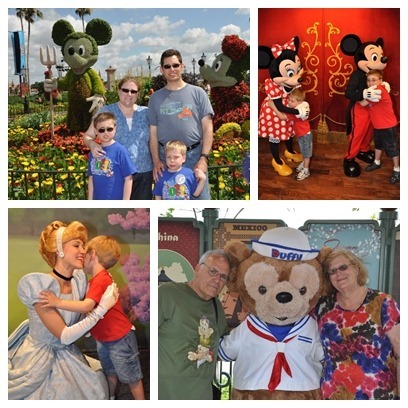 You receive the PhotoPass+ Card on a lanyard, Voucher to order the PhotoCD, and receive the Disney’s Photo Gallery CD with 400+ high resolution digital photos from around Walt Disney World. 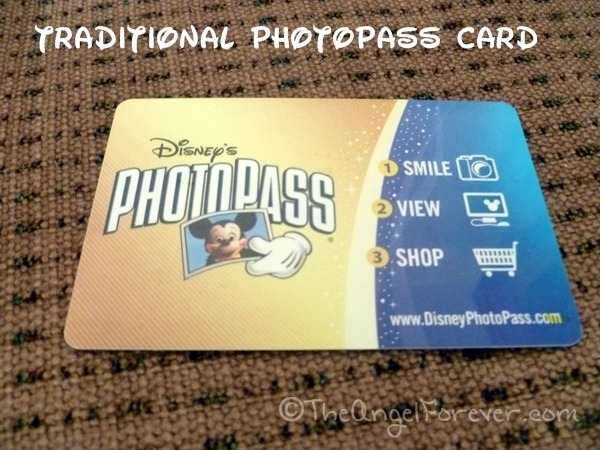 You can use your card and others on your CD purchase, but the PhotoPass+ cards are special for some additional magical memories. 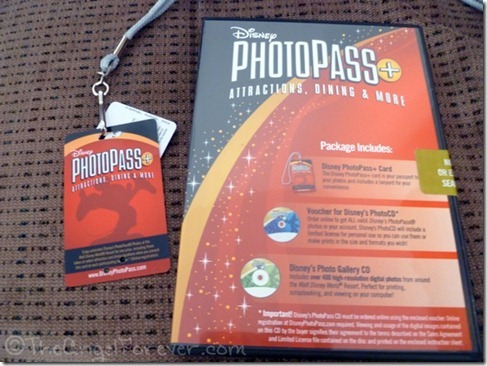 Traditionally, at some of the Disney restaurants, you would buy photo packages with your meals. If you have the PhotoPass+, these will be included for you. Participating restaurants include: 1900 Park Fare, ‘Ohana, Spirit of Aloha Dinner Show, Chef Mickey’s, Cinderella’s Royal Table, Tusker House Restaurant, Hoop Dee Doo Musical Revue, and Princess Storybook Dining at Akershus Royal Banquet Hall. While we did not take advantage of the dining option during our last visit, we did use another option. You may have photos from select rides in the parks added to your card instead of buying those individually at the end of the ride. These can not be put onto the regular PhotoPass card. 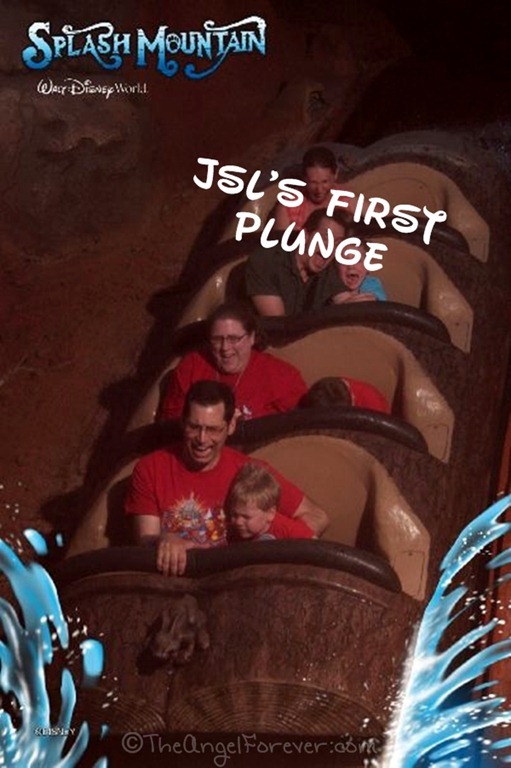 Rides that participate include: Space Mountain, Splash Mountain, Buzz Lightyear Ranger Spin, The Twilight Zone Tower of Terror, Rock’n Roller Coaster Starring Aerosmith, Expedition Everest, and Dinosaur. 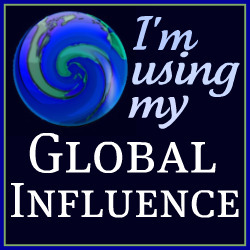 We used this a lot and I will write more about this later. Here is JSL’s first time on Splash Mountain. So many magical memories and much more to share another time. If you have any questions about Disney’s PhotoPass CD or PhotoPass+ please do not hesitate to ask. Disclosure: All of the photos within this post were taken during our 2012 Disney Social Media Moms Celebration stay and was part of the PhotoPass+ CD that we received. 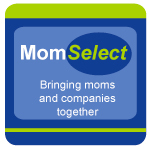 Although we paid for our own trip to Disney World to attend the Disney Social Media Moms Celebration, we were given an incredible deal from Disney. Also note that Disney never asked us to blog about this event. As a long time Disney fan (who has purchased the PhotoPass multiple times), it is my pleasure to share my experiences from the event. I love those photopass cards. The photos are a little expensive to order but it’s one way to get the whole family in a picture together.